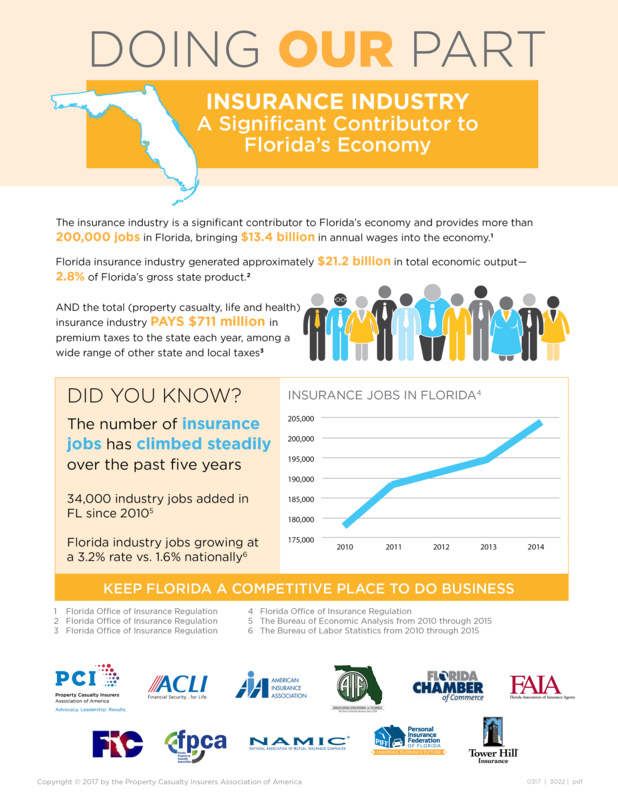 The insurance industry is a significant contributor to Florida’s economy. Tower Hill President Don Matz shares a recent infographic from the Property and Casualty Insurers Association of America to show the industry’s impact. Download a printable version of Doing Our Part.